Therapy with horses are developing fast, and many people are now using horses in therapy and learning inviroments. We have developed a methode, where it is important that the horses do not get trained for being a part of the therapy. The horses are allowed to give their authentic feedback for us to be guided. We dont disciplin our horses to help people, we dont use them as a tool, but let them be our guides, to help people better understand themselves. You may watch this little Video, where Marianne is teaching in the Workshop: “With Horses as Guides”. It is very important for our Educations with Horses as Guides, that you learn to sense the horse, and that you dare to let the communication from the horse really be expressed. A great deal of the work is from the ground. Everything we teach about contact and communication, we bring it on, when we mount the horse. 1. 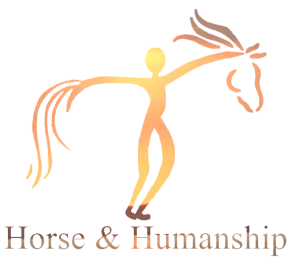 Horse & Humanship® is based on how a herd of horses regulates and organises itself. Most people see dominant horses as leaders. We do not – We see the leader of the herd as the horse who shows the way, and we call it the Lead horse. Lead horses do not dominate other horses – instead it shows the way. A Lead honours itself. Transferred to psychological terminology it means that we, when we are in contact with our own inner lead, feel our self-esteem. 2. When you over the course of the education, learn to connect with your inner Lead qualities, you also learn to be with horses as equals, and can use this in your work with horses and the people who seek your help. 3. Heste, hjælpere og klienter/elever mødes på denne måde i Det Tredje Univers, hvor alle parter er lige meget værd, og hvor vi som hjælpere, nu kan begynde at give hesten plads til at udfolde sig og kommunikere, hvad den modtager fra os mennesker. 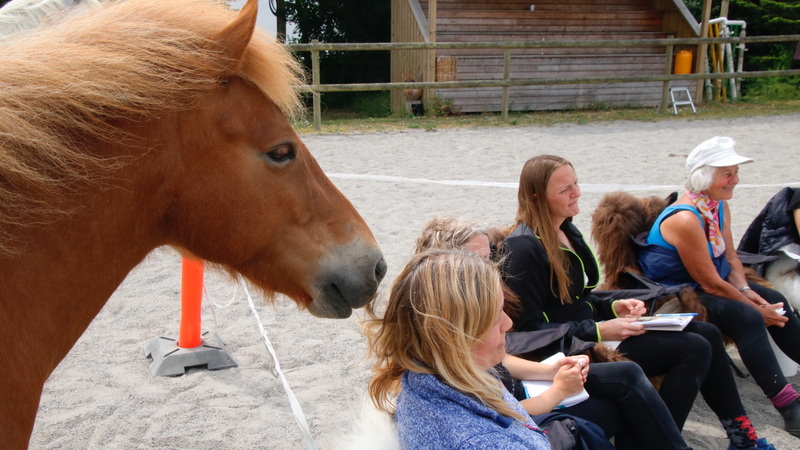 Denne måde at være sammen med heste på kalder vi for Horse & Humanship®, fordi det ikke kun handler om at forstå hestene. For at det skal kunne udfolde sig må du være indstillet på at se på din egen rolle/indflydelse/adfærd/indvirkning på hesten, hvilket igen kræver, at du har modet til at se indad og møde de ridser og skrammer, som måske forhindrer dig i at udfolde dit fulde potentiale.